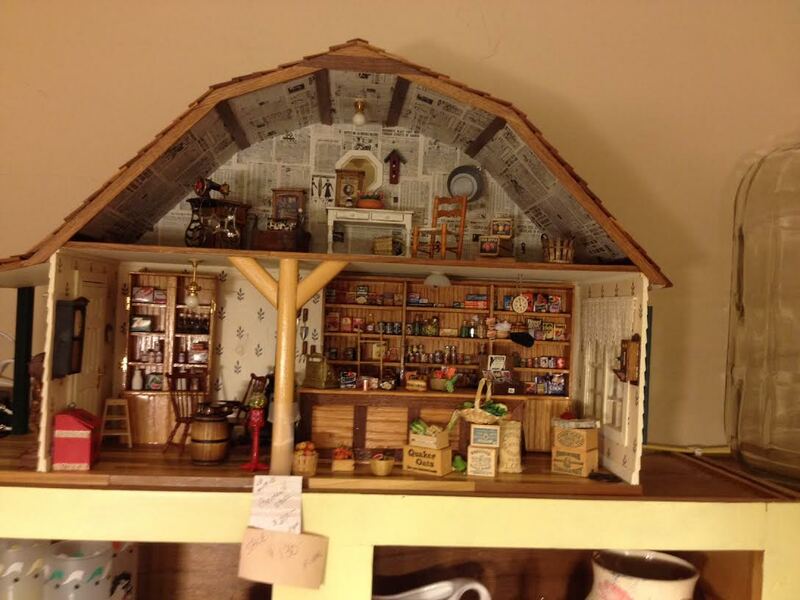 More pictures from my favorite of the three antique stores we visited during my visit home over the weekend. 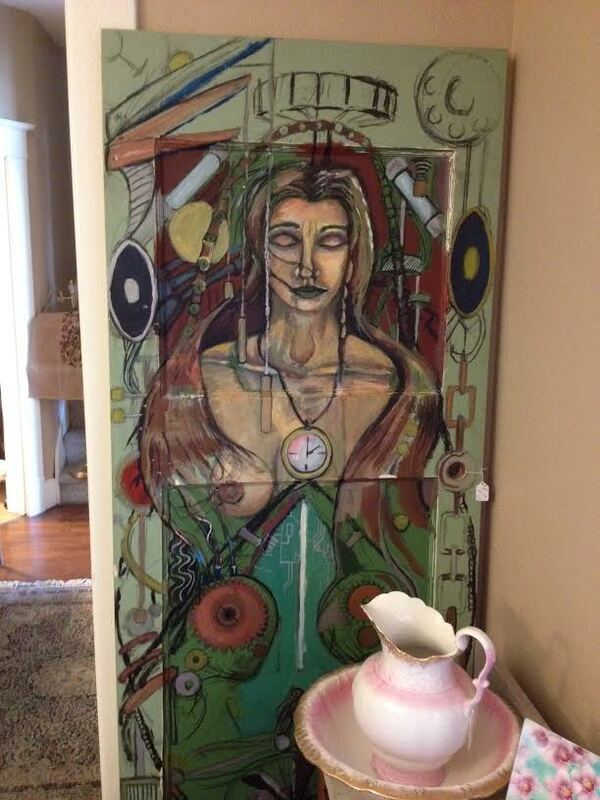 I loved this old painted door. We’ve been looking at buying old doors to bolt together to create a border fence in our backyard next year. With my recent obsession with miniatures and a project I’m working on for Halloween, I couldn’t resist snapping a photo of this miniature house. 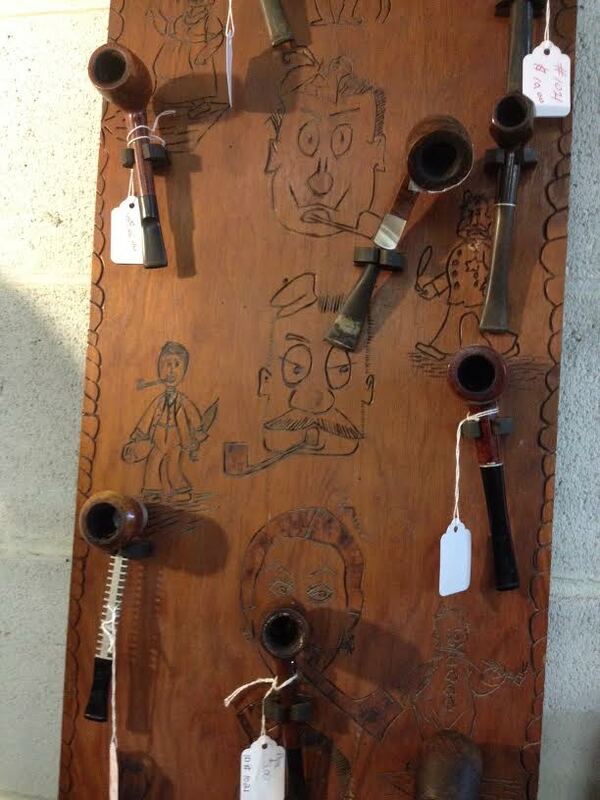 I also liked this pipe holder with the wood burned characters on it. Very original and unique.